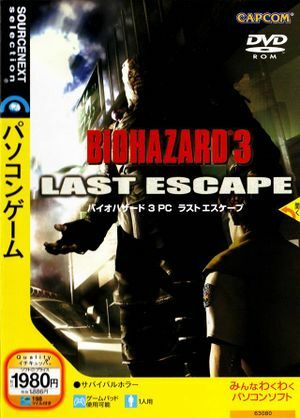 Port of Biohazard 3: Last Escape made for Windows 2000 / XP. Has improved compatibility for modern versions of Windows. Has the highest quality FMVs out of any other release. Latest version is 1.1.0. Save files from version 1.0 will not work with version 1.1.0. Borderless Gaming can be used. Gameplay and FMVs run at 30 FPS. Menus and door loading screens run at 60 FPS. FMVs have subtitles that are part of the FMV itself. This page was last edited on 1 April 2019, at 10:47.